Ovation Press also offers Dvořák's Rondo for Cello Octet Arranged by Valter Dešpalj. Dvořák composed the Rondo for Cello and Piano in 1891 as part of his farewell tour prior to traveling to the United States. Two years later he wrote the version for cello and orchestra. 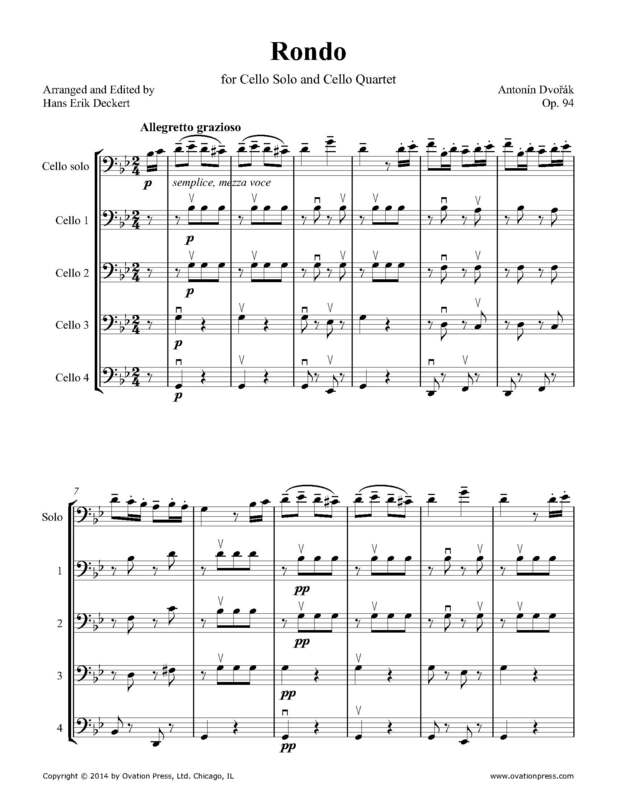 In this arrangement, the piano part has been transcribed for the four cellos. The solo part is the original. It is particularly suitable for a cello class with solo talents.